Jennie Livingstone knows her papa is in trouble. 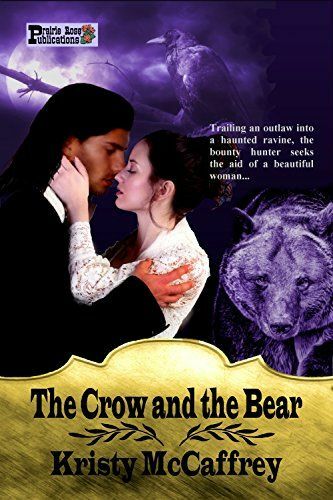 When none of the local men will come to her aid, she must accept a newly-arrived stranger—a half-Comanche bounty hunter—as her only ally. As they head into the mountains to track Jennie’s father, she can hear more than the whispers of man. The mines carry spirits, and her only hope in navigating the living and the dead lies with the Crow. But is Jennie prepared for the consequences of where her fate with Callum Boggs may lead? And is she the woman who can hold fast to the Crow’s heart after all his years alone? Bewitched by the beautiful young woman, Callum must do everything he can to stay one step ahead of the spirits that can’t rest—just to keep Jennie and himself alive.